The Walnut Park East Neighborhood is located in northwest St. Louis City. The boundaries of the neighborhood are West Florissant Avenue along Calvary Cemetery to the northeast, Emerson Avenue to the southeast, Interstate 70 to the southwest and Riverview Blvd to the northwest. Surrounding neighborhoods are Walnut Park West to the northwest, the Mark Twain Neighborhood to the southeast, and the Mark Twain/I-70 Industrial Neighborhood to the south-southwest. An historic cemetery is located along the northeastern edge of the neighborhood, Calvary Cemetery. 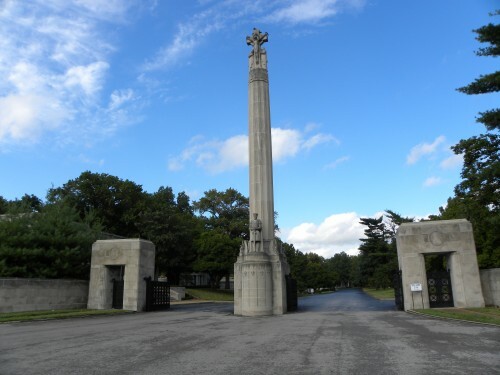 Calvary Cemetery is a 400 acre Roman Catholic cemetery. 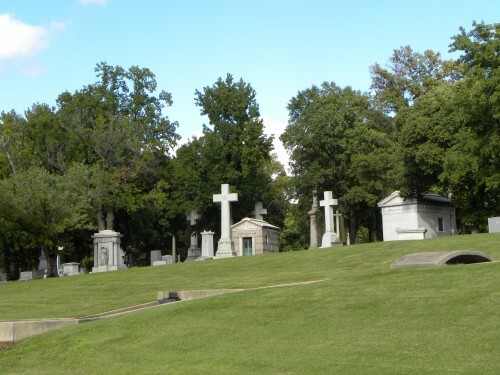 It was established in 1858 to receive the remains of those who had been buried at the Old Cathedral cemetery and other Catholic cemeteries in St. Louis that were being moved to make way for the expansion of the city. 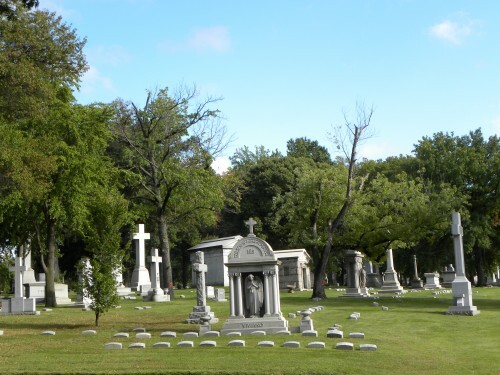 Many of the St. Louisans that are buried in this cemetery were early prominent men and women of the City and the list of those interred there reads like a "Who's Who!" Some of names that are found in Calvary include General William Tecumseh Sherman, Dred Scott, Peter Richard Kenrick, Mickey Carroll, Tennessee Williams, Alexander McNair and Auguste Chouteau. The residents of the Walnut Park East Neighborhood are served by the St. Louis Public School District. There are several district schools that are located in the neighborhood. One of them is the Northwest Academy of Law High School, a college preparatory high school, is located on Riverview Blvd and the Walbridge Elementary School which is on Davison Avenue. The private St. Matthew Lutheran School, located on Wren Avenue, is also in the neighborhood. City Academy, a private independent elementary school, is found in the Mark Twain/I-70 Industrial Neighborhood on North Kingshighway. Two of the 111 St. Louis City parks are found in the neighborhood. One of them is Dwight Davis Park. This park provides many recreational opportunities for the residents living in Walnut Park East as well as the surrounding neighborhoods. Those features include 9.6 acres of parkland, a playground, a basketball court, soccer, softball and baseball fields, a multi-purpose court, tennis courts, a fun spray pool and more. Another city park is Walnut Park, located at Lillian and Thrush with two basketball courts and over 2 acres of parkland. The neighborhood has one of the 15 St. Louis Public Library branches within its borders. That branch is the Walnut Park Branch Library and is found on West Florissant Avenue. The next closest City library would be the Baden Branch on Church Street in the Baden Neighborhood or the Julia Davis Branch on Natural Bridge Avenue in Penrose.